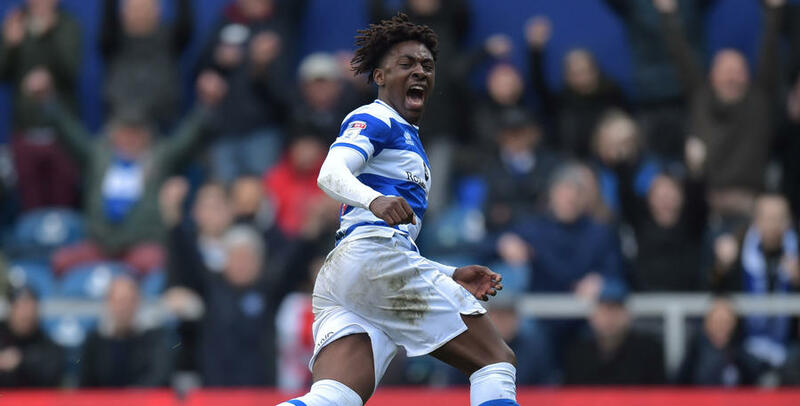 EBERE Eze’s first-ever senior goal for Rangers was enough to spell victory, as Ian Holloway’s men recorded a 1-0 Sky Bet Championship success over rock-bottom Sunderland. After an unentertaining first half at Loftus Road, the second was much-more eventful. Black Cats goalkeeper Jason Steele’s 49th-minute dismissal, for handling outside of the box, gave the R’s a numerical advantage. And it was Eze – on what was also his maiden league start for QPR – who subsequently settled matters in the 62nd minute, finishing with aplomb from 12 yards after a neat one-two with team-mate Matt Smith. The Hoops had chances to extend their lead thereafter, but just the one goal was all that was ultimately needed. 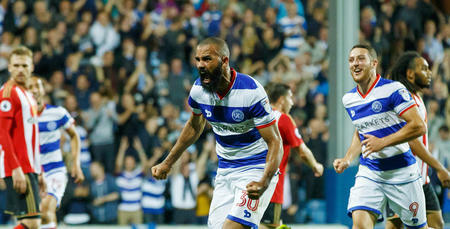 QPR boss Holloway made one change to his team after Tuesday evening’s draw with promotion-chasing Derby County in W12. Eze’s impressive display from the bench against the Rams was enough to earn him a start this time around. He replaced Conor Washington, who was named among the substitutes. Rangers once again lined up in a 4-3-3 formation: Alex Smithies; Darnell Furlong, Nedum Onuoha (captain), Jack Robinson, Jake Bidwell; Josh Scowen, Massimo Luongo, Luke Freeman; Paul Smyth, Smith, Eze. In truth, the first half of this contest was competitive though pretty drab, with clear-cut chances non-existent at either end. The only real incident to note was when Sunderland were forced into a 30th-minute substitution, after Jonny Williams came off worst in a challenge with Scowen. Aiden McGeady took the former’s place. Not a single shot either on or off target made for probably the shortest report you’re ever likely to read for a half of football. Hopefully the second period would offer more. Presumably a knock picked up by Rangers’ Robinson led to the defender being taken off at half-time. Joel Lynch was his replacement. This fixture came to life when Sunderland were reduced to 10 men four minutes after the break. Black Cats ‘keeper Steele misjudged Furlong’s long hook forward, subsequently handling just outside of the penalty area as Smyth looked set to race in behind him and finish into an empty net. Referee Robert Jones was left with no option but to issue Steele with a straight red card, with former R’s custodian Lee Camp then brought on for Joel Asoro to keep goal for Sunderland. Naturally, things opened up after that, with Camp called into action and the first save of the game in the 56th minute. He dived low to keep out Smyth’s 10-yard drive on the angle. Rangers then went even closer three minutes later, as Smith headed Bidwell’s left-wing cross marginally beyond the opposite post. Fifteen minutes in, the closing half was already much-more entertaining. And things got even better for the R’s when they took the lead shortly after the hour mark. After patient approach play, it was a lovely one-two that enabled Eze to stride through on goal. The young playmaker combined with Smith before displaying fine composure to slide the ball beyond Camp from 12 yards. Now both a man and goal to the good, Rangers should have extended their lead seven minutes later through Smith. He drove straight at Camp after being slipped in by Freeman. 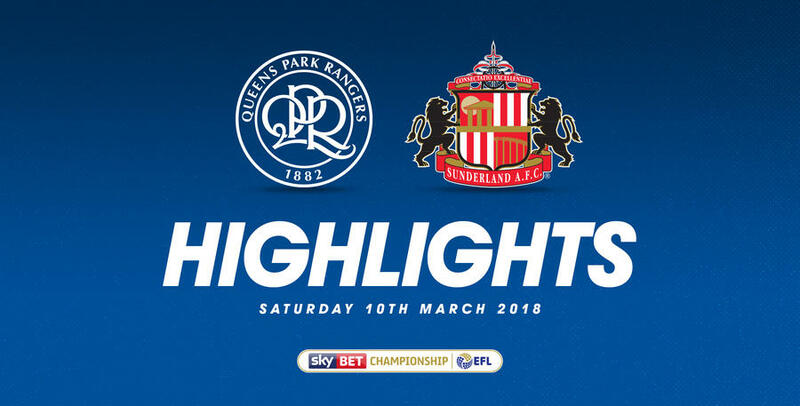 A second QPR change saw Bright Osayi-Samuel replace Smyth in the 71st minute, before Furlong’s header, from a left-flank Freeman corner, was held by Camp in the 78th. The R’s had the ball in the net once again eight minutes from the end of normal time, as Smith got the last touch on a free-kick from wide. However, he was adjudged to have been in an offside position. Two minutes later, sub Osayi-Samuel’s curling effort from distance was acrobatically tipped around the post by Camp. Once four minutes were added on at the death, Rangers arguably should have been more than only the one goal ahead. Though it didn’t matter in the end – the R’s withstanding a mini spell of Sunderland pressure late on to take all three points. 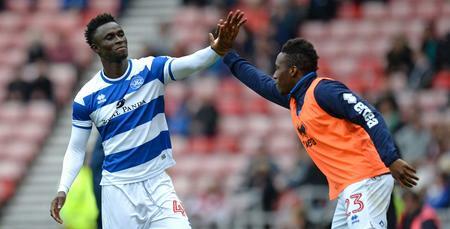 WATCH highlights from QPR's 1-0 win against Sunderland.